You train at the highest level in the MUNICHGYM fitness club. 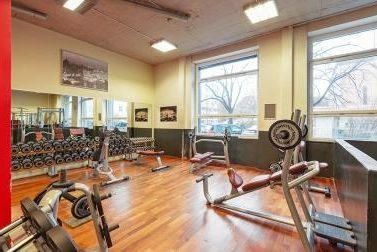 In a pleasant atmosphere the Studio provides a wide range of the latest exercise equipment, a diverse variety of courses, personal guidance, professional trainers and a spa with Finnish sauna and steam bath - all in the heart of Schwabing close to Neuhausen. Together with our p rofessional trainers, you are on the way to achieve any fitness goal you may have. Enjoy sports and wellness in our fitness club. You want to lose weight, build muscle, work on your fitness or just relax in an inspiring atmosphere. 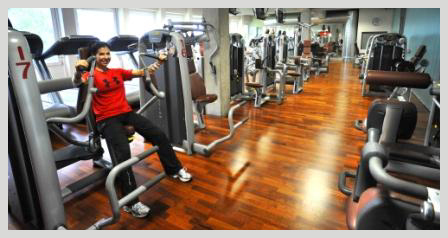 At the MUNICHGYM you can work out in any form you desire. Let us talk about your goals, and we will prepare your own personal fitness plan. The MUNICHGYM team looks forward to meeting you personally. - A variety of classes! Effective Fitness from New Zealand. 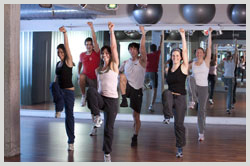 MUNICHGYM is the only gym in Munich that offers you seven professional Les Mills fitness programs. 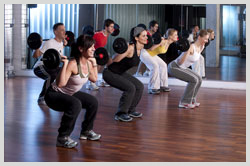 The gym provides a large variety of fitness classes and sports, whatever your heart desires. For your own personal enjoyment and for variety, Les Mills are changing classes every 3 months! Relax after a workout in the MUNICHGYM gym: The beautifully designed wellness area awaits you with a Finnish sauna, steam bath and a relaxation room. Experience an entirely new fitness and wellness feeling in the gym MUNICHGYM in Munich- Schwabing! Do you know the feeling of being completely exhausted after a hard day's work? Deserts that the endorphins produced during Exercising ensure a good, happy feeling and make us more efficient. Do you long after that, your body regularly do something good, to feel better in everyday life? Did you actually 'always' sign in a gym? 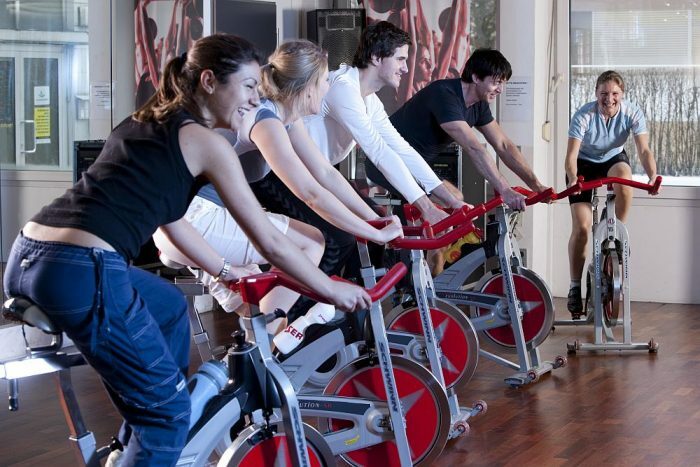 In our gym MUNICHGYM in Munich, you can workout at a high level in a very welcoming atmosphere to your liking. You can completely turn off by our innovative concept of the gym and wellness oasis from the stress of everyday life and let your soul. Benefit by becoming a member of our gym MUNICHGYM benefit from a huge selection modern training equipment and realize your individual fitness needs. The gym MUNICHGYM in the heart of Schwabing / Neuhausen, our experienced trainers care targeted to your well being and your personal goals. Through a professional and especially individual counseling in our gym, we make sure that your training is not only fun, but a long-term positive effect on your well-being and performance in everyday life. No matter what goals you want to achieve in our gym you find for various training goals (toning, improving fitness, weight reduction) always a professionally competent personal trainer as well as related training program. 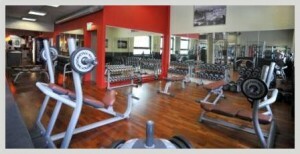 In the gym MUNICHGYM you can enjoy a brand new training and attitude towards life. Anyone who wants to have next to the sports and fun and want to relax, our integrated in the gym spa offers the perfect opportunity to do so. 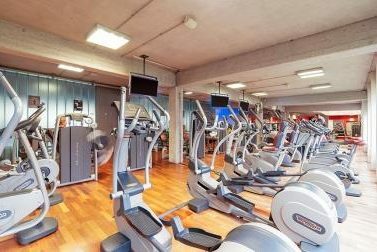 We offer in our modern gym MUNICHGYM to enjoy the possibility of sports and wellness in a harmonious relationship. In a steam bath, you can enjoy pure relaxation for body and mind and leave everyday life behind completely. Treat yourself and your body in our gym a sporty break the exclusive nature and enjoy eg creative sauna events. The gym MUNICHGYM in Munich there are no more excuses, because you feel much better after a few weeks of training, so that you the sports activities are going to love. And we really do everything we can so that you can feel fully in our gym. Let us advise you in a trial on the spot at the gym MUNICHGYM and enjoy with our flexible fares and the large range of courses a program that fully meets your requirements. As a Les Mills Partner, you can also realize innovative health concepts from New Zealand at the gym MUICHGYM. 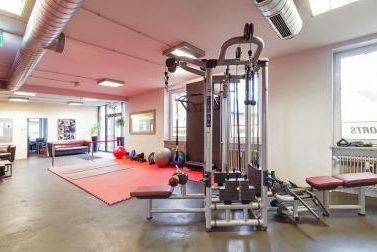 In our gym you can combine fitness and wellness in one place. How about a steam bath after a workout? Here you can decide where you feel the most. You have no one to care for your children during training at the gym? No problem, because while you are training your kids well looked after in our kids club of trained caregivers around. So a visit to the gym for adults and children is every time anew a pleasure. Realize now in the gym MUNICHGYM in Munich Schwabing / Neuhausen Your rooms of well-being and enjoy comprehensive care and an inviting ambience. The entire team at the gym MUNICHGYM looking forward to your visit! If you have questions regarding the gym MUNICHGYM, so we are happy to answer them. You're interested? Then take a look at the best equal in our course schedule and take your pick from courses that you enjoy. Whether yoga, Zumba, Pilates, BODY PUMP, BODYATTACK, or BODYBALANCE and many more - in our gym you have the choice!